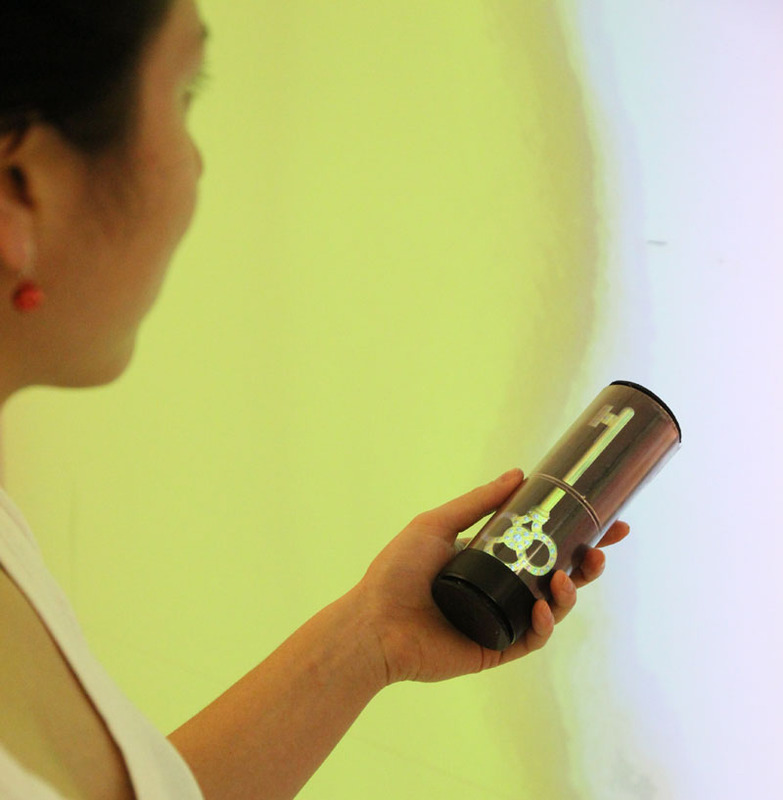 MagicWand is a handheld cylindrical display object. It features two flexible OLED screens that provide a continuous display surface covering most of its lateral area. Its shape and size allow it to be used as a wand, offering rich gestural interaction. We used MagicWand in a gaming scenario to explore how its form factor affords different actions from those of a traditional smartphone. As a game controller, MagicWand can display different tools and characters, depending on the context. Its physical and visual affordances make it easier for the player to discover the right gestures for advancing through the game. Priyadarshana, L-L., Porter, V., Carrascal, J-P., Visser, A., Vertegaal, R. MagicWand: Exploring physical affordances with a handheld cylindrical display object. Proc. of the 2016 CHI Conference Extended Abstracts on Human Factors in Computing Systems. ACM, New York, 2016, 3762–3765.